Railpictures.ca - Earl Minnis Photo: VIA 906, sporting the new Poppy scheme, readies for departure with Windsor-Toronto train 76. | Railpictures.ca – Canadian Railway Photography – photographie ferroviaire Canadienne. 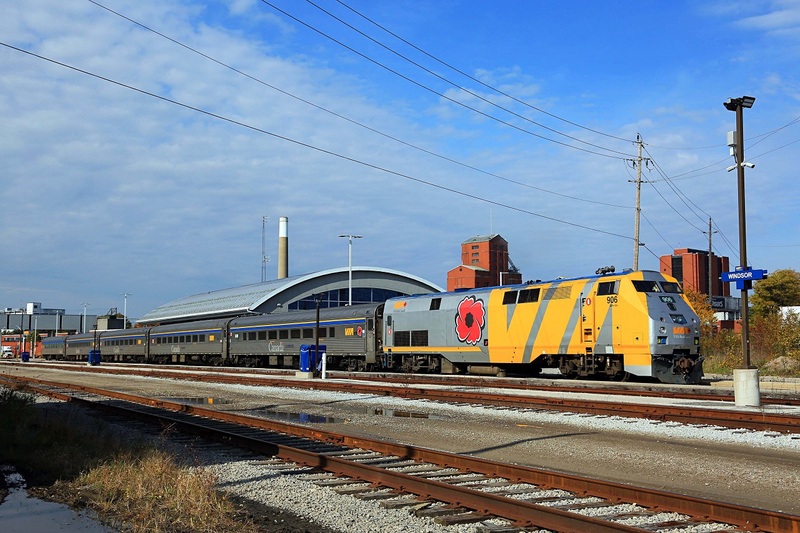 Caption: VIA 906, sporting the new Poppy scheme, readies for departure with Windsor-Toronto train 76.